Eleven years ago, four hijacked jetliners crashed and our world was changed-- the Twin Towers were destroyed, the Pentagon was attacked, and a third attack was thwarted and a fourth plane lost. At the end of the day, more than 3000 innocent people were dead, and with them died the unstated but widely held view that terrorism was something that happened in the Middle East and we read about in Time or watched on CNN. Alan Jackson's song asks, “Where were you when the world stopped turning?” Most of us can remember exactly where we were and what we were doing that day. That was the first day that Elaine Denman was to start a counseling ministry in our church building once a week. We spent all morning in the teen classroom completely transfixed by the TV. 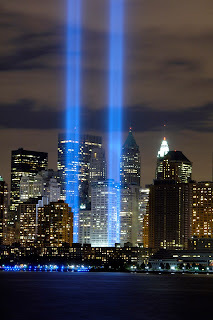 We were watching when the second plane hit and when each of the towers fell. No work was done that day; a lot of prayers were prayed. The world didn’t really stop turning, but it was changed forever. 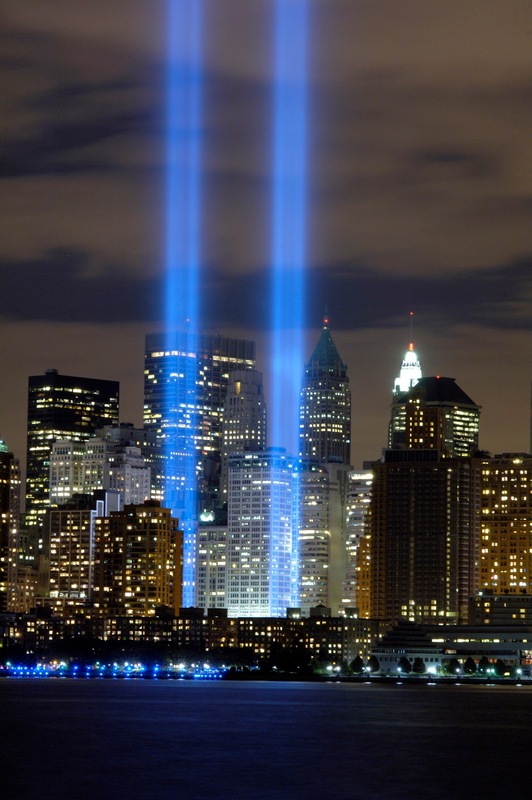 What has changed in the eleven years since 9-11? Has the wars in Iraq and Afghanistan made the world a safer place? That depends on who you ask, but the world doesn't feel safer. But then the world never has been a safe place, has it? One thing that hasn't changed is this-- despite how the nations may "conspire" or "rage," (Psa 2:1), God is still sovereign. Psalm 47:8 is just as true today as it was when the sons of Korah wrote it so long ago, “God reigns over the nations; God is seated on his holy throne.” We live in a fallen world where the evil choices of evil people hurt the innocent. That is not exactly a new development in the history of the world. Jesus said to those who came to arrest him, “But this is your moment, the time when the power of darkness reigns” (Luke 22:53, NLT). But just as Jesus looked to God in that time of darkness, so we look to God and his power today. We pray for His peace. We pray His justice. We pray for His will. We pray for His mercy. And we pray for His coming. Peace on earth will always be the impossible dream until the Prince of Peace returns.